Through our 'Knowledge Sharing Culture', the NCG provides you with free access to a network of information about Noritake backmarks, patterns, porcelain production, care and management and an overview to the history behind Nippon Toki Kaisha Limited, (present day Noritake Co. Japan). The Noritake Collectors Guild's is dedicated to publishing the dwindling tangible knowledge base of Noritake China. This project is one means of preserving information for future generations of users to disseminate. Through our contributors you will have access to a network of knowledge never shared publically before. Our growing addition of resident contributors are sharing their knowledge in the form of "Research Papers'. If you have a question about a related topic, our contributors would love to hear from you. If you are researching a particular subject matter and would like to participate in one of our Projects, please visit our link to the 'Noritake Knowledge Partnership Project '© for more information. We also make special acknowledgments to the contributions of Collectors/Conservators, and Sellers who have provided images of backmarks and their individual pieces of their collections they either own or onced owned. If time permits, please have a look around our extensive library of resources, or failing this, Bookmark us for future review. I thank everyone for your support and encouragement as I continue to build on from our humble beginnings and I hope you can can come back from time to time to review the progress. Noritaké Australia have given permission for the use of the Green Wreath with Maruki as the Logo of the Noritaké Collectors Guild. I wish to thank the Management of Noritaké Australia for all their assistance in identifying some marks on this site and for other articles and photo's they will and have been contributing. A special thank you to Steven Yeend for his support and advice. 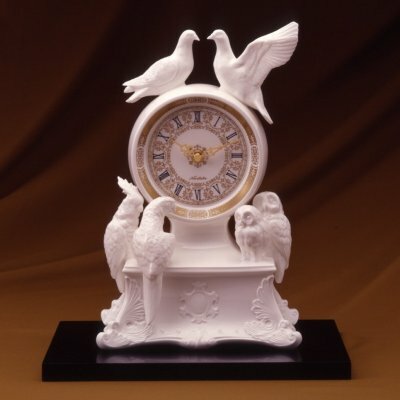 Reproduction in whole or in part in any form or medium without express written permission of Karry-leeanne Fisher - Noritake Historian for the Australian and New Zealand Markets and Founder - Noritake Collectors Guild - is prohibited. Any trademarks used are the property of their respective owners. Copyright © 2001, 2002, 2003, 2004, 2005, 2006, 2007, 2008, 2009, 2010, 2011 K Fisher.